They’re akin to ugg boots for babies, but far fancier – your bubs’ foot will be toasty warm swathed in swish looking Wooly Hobes shoes! From the folk at Hobes, we bring you Wooly Hobes. A pair of deliciously soft handmade shoes, created from soft fabric and lined with quality Australian lambswool sourced from the Hobes’ family farm in picturesque rural Victoria. The tiniest of toes will now be toasty warm with the smallest size being a size 2 (for children aged up to 12 months) complete with a soft suede prewalker sole, size 5 (children aged one to two years) and size 8 (children aged 2 to three years) have a fine rubber ‘on the move’ sole. Of course, I feel it a community service that I should mention that the Wooly Hobes are also available for adults and that they most definitely are far fancier than (but just as comfy) as wearing your uggs in public! 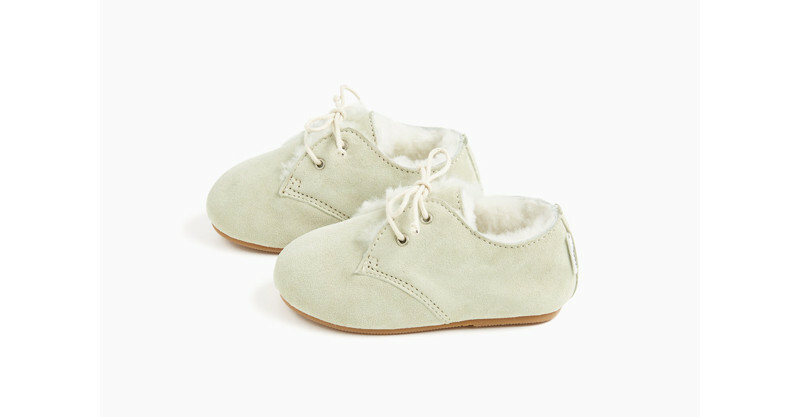 Tots Wooly Hobes are priced $59 (size 2) and $69 (size 5 and size 8) and available in blue plaid, blush, mint, royal and tulip. Order direct from Hobes.